Today I stumbled upon a rather interesting piece in the True Faith fanzine posted by Michael Martin, editor of the site and it was in reference to the upcoming protest march on the 19th October (morning of the Liverpool game). Anyone who has been following my comments, would know that I’ve been made aware of the protest march, but I must admit to knowing little else about it, and the nuts and bolts of what they stand for. The article in True Faith today contains a Question and Answer session with the organisers of the march. So for all of you who want to learn a little bit more about the Time4Change fan’s group, the purposes of the march and their intentions, then I would strongly recommend taking a few minutes of your time to go through these questions and answers. TF: First things first, why do you want supporters to join a protest march before the Liverpool game? 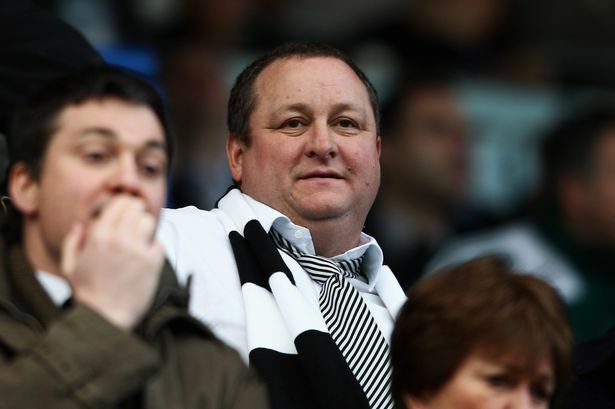 T4C: We have felt the utter frustration, like many other fans, at the way the club has been run by Mike Ashley. Some of the complaints have been well-rehearsed: The sacking of managers, the changing of the stadium’s name, the Wonga deal, and the puzzling re-appointment of Joe Kinnear as director of football. What is of real concern to us now is that repeated club statements appear to suggest that it lacks direction, ambition and is failing loyal fans who have put so much time, loyalty and money into supporting the team. The club has been through bad times before, but since finishing in fifth place, the club has revised and budgeted it’s targets down for two consecutive seasons. At the same time it has said it regards cup competitions not as a priority, but as a chance to run the rule over our very small squad of reserves. We contend that something fundamental has changed, and that the club has now admitted it has little intent to attempt competitive football. The potential of the club not only remains untapped but maybe diminishing as the club identity and brand has been consumed by Mr Ashley’s pursuit of his other ‘main’ business interest. Time4Change believes that something needs to be done, to say ‘enough is enough’. A meeting was called through certain social network groups and it was democratically decided that a lawful, properly organised march would be a start. We have been granted permission for this by the police and city council. We hope this will give the opportunity for all fans and supporters groups to unite and express their concerns at current policies and showcase our solidarity and shared hopes for a better future. The Liverpool fixture was chosen for several reasons. Firstly, it has significance as being a high-profile game which in the past has created some terrific football matches. Not too long ago it would have been regarded as a game between equals. Last season saw us capitulate in a way that shocked many fans. Liverpool is also a good example, via the Spirit of Shankly group, of what can be achieved when fans get together to pursue a peaceful campaign for change. We have been in contact with SoS and have developed a relationship. They have sent us messages of support. In this spirit of “football first”, we have invited Liverpool fans to join the march. The game will also be shown live on BT Sport and it will generate inevitable media interest. This is a chance, right at the outset of our campaign, for everyone who has pride in the club, the city, and the region, to show what Newcastle United means to us all. Is there a better way of showcasing how much we care and crave ambition by marching peacably together, then showing our support by backing our team 100%? TF: What do you think a protest march will achieve? T4C: We are not naive enough to think that one march will suddenly make Ashley pack up and sell up. The march however can be very significant symbolically, especially if it manages to unite the fans. Just as it has on a small-scale during the organisation of this march, it’s a wonderful way of bringing people who had not previously met, together, and realising that we share so many things in common and can gain strength in unity. If Ashley has been successful in anything during his reign it has been his unerring ability to divide and conquer the supporters; be it the fragmentation of the singing section in Level 7 that led to tensions elsewhere in the ground with other fans, or his ability to create amateur accountants out of passionate football fans. Ashley has even used his cronies to conduct character defamation campaigns against legends Kevin Keegan and Alan Shearer. We wonder how Sir Bobby Robson would have fared if he was alive today, for there is no doubt in our minds he would have spoken out against the club’s so called ‘plan’. This is why we hope the march can re-invigorate the whole campaign for change in the running of the club so that the fans and the city can be reconnected with it’s heart. We feel this is the first time in almost 5 years that the need to do ‘something’ is overwhelming and we hope the march can channel the frustration and anger felt by fans and convert it into a positive movement for change. TF: What are the arrangements for the protest march? T4C: The march is legal and sanctioned by the council and the police. It has been organised and paid for by individual donations and groups giving up their time to ensure every interested fan has the opportunity to exercise their democratic right to march. There are no ulterior motives other than to make the owner and the football world aware that not all Newcastle fans are content in doing nothing. The gathering point for the march will be on the pedestrianised part of Northumberland Road (next to the City Hall) from 1030am on 19th October and will proceed through the city centre, past the ground, and end at the bandstand in Leazes Park where there will be one or two short speeches before dispersal for the match. The march has had a full health and safety check, will be accompanied by volunteer stewards and match-day policemen with rolling road closures as it progresses. Remember, this isn’t a march aimed at hurling abuse at the owner – that will achieve little and won’t look great in front of the watching media. What we want is a good-humoured protest march attended by caring, sensible fans who want to express their hope in a brighter future. We not only want to call time on the Ashley regime but make it known to the wider football world that we want responsible ownership where the fan-base can be respected and consulted. We can only do that by behaving responsibly and by policing ourselves so that others can see we are worth investing in. TF: How many supporters do you predict will join the march? T4C: That’s a question we can’t answer! What we can say is that a couple of dozen people, who run websites and social network groups have provided the opportunity for Newcastle fans to show that they care about the club. If you are a season ticket holder who feels helpless or a boycotter who feels disenfranchised, we want you to march in the belief that you can assert your self-respect and pride alongside others. We want this march to be inclusive, encompassing many parts of the NUFC demographic. There has been press coverage since the papers got wind of possible fans’ action weeks ago, so there’s no doubt they’ll be there. What we hope is that the march is well attended so that they know there is a groundswell of opinion that says fans are willing to get involved in shaping the future of the club. We can understand people being skeptical about the march and this is as much a symptom of the way Ashley has reduced us down into infighting, as it is to those anonymous people who want to denigrate people in 140 characters via twitter. In the past, what we have needed most and lacked the most, is faith in ourselves. It’s a simple choice really, if you’re happy with the way the club is being run, managed and funded then stay at home and don’t march; if you are not happy, show you want better and march. TF: Every time I look, there seems to be a new supporters group being formed (mainly online), tell us about TIME 4 CHANGE – what does it want to achieve? T4C: Indeed, there are many supporters groups out there, but we are NOT a new group as such. We stress that we are a coalition of some of the more established one’s over the last few years and as such, will remain independent and do our own things which range from humorous, irreverent looks on the club, to giving match reports and player news to being one issue pressure groups. As we have stated, the ownership issue is the one issue that unites us all in calling for fan solidarity in a Time4Change. Amongst the groups, it is generally felt that there already exists the framework for positive change at NUFC, via the work the Supporters Trust has pursued since its inception (several trust members are involved in T4C). However, for whatever reason, a lot of this work goes unreported and because of this, their campaign has arguably lost momentum and drifted from the public eye. We hope that the #Time4Change March and any possible movement that grows from it can help reinvigorate and put to the very top of the agenda, the common goals many of us share not only with the Trust, but with football fans in general. It is with this in mind that the Trust have been invited to speak at the end of the march. In short, if the Time4Change coalition can grow and unite as many groups as possible then it can be a movement which works in tandem with the Trust. If their membership swells because of a multi-pronged approach to affecting change then the long-term goals of us all – at the very least, responsible and accountable ownership – can become nearer reality. TF: Who are the organisers behind TIME 4 CHANGE? What support do you have? T4C: In some ways we have answered part of this question in the previous one. There are no people with any professional or commercial interests in Newcastle United involved in Time4Change, nor are there any people with ‘media profiles’. This is in effect, an attempt by concerned fans at a grassroots level to provide the opportunity for other fans who are extremely concerned by the club’s direction to come forward and march in solidarity and hope. To this point there have been no open mass meetings and therefore we aren’t imposing upon fans a full agenda of protest as we don’t have the mandate to do so. As we are a coalition of groups, we all have a different amount of people who ‘follow’ our groups via the social networks and as we have progressed others have come forward and offered their support. Significantly, The Newcastle United Supporters Trust has offered their support and agreed to circulate details of the march to their mailing list and totally understand why this is taking place. We are gaining endorsements; but what we need is for the fans to turn up on the day to show we all really care about the club and want to see it progress. TF: Some supporters are wary of joining protest movements because previous supporters’ protests have been perceived as being poorly organised and embarrassing. How will TIME 4 CHANGE be different? T4C: This protest is properly organised and we have faith in the fans who attend to conduct themselves in the right manner. We appeal to all fans to come forward and march to ensure that it is successful. The only previous mass supporters protests we can recall in recent times were in the aftermath of the Keegan resignation in 2008 at the Hull City game, when quite understandably, there was much vitriolic anger. But most of these were NOT officially sanctioned. This created a somewhat toxic atmosphere outside and inside the ground that day. We think the climate is different to 2008. What we want is a successful, incident free march and then everyone who is attending the match to go inside and make it one of the best atmospheres worthy of a top fixture. We have given guarantees to the police that we will not organise or call for any protest that will contravene the stadium rules or break the law. However, we do want to make a point in front of the cameras and the watching millions. With this in mind we are calling for fans to take to the match white handkerchiefs (even serviettes/paper will do) and upon the teams entering the pitch prior to the kick off, waving them in the air to signal that we are ‘calling time’ on the Ashley Regime. This as you know, is a simple form of protest usually practiced on the continent to signal fans disapproval. After that is done, we want everyone to back the team all the way. This simple form of visual protest will be reliant on many people, whom for whatever reason, did not make the march, but gives everyone the opportunity to show they too think it is time for change. This ‘white hankie’ protest would show the TV audience that the fans do have a valid voice and opinion but also that they refuse to turn their backs on the team. It is this passion and untapped potential that we hope one day will appeal to more responsible and receptive investors. This is something that could grow and carry on into further games, home and away. It costs virtually nothing but is symbolically and visually significant. TF: What happens after the march? T4C: Many people say ‘be careful what you wish for’ – ironically it was something Freddie Shepherd said when Ashley first sniffed round the club, but we should not be afraid of the future! To ensure that we get responsible and cooperative ownership in the future, we believe that fans have to be organised and have a coherent voice. The March can be but a starting point in getting people together again, but let’s not forget there is a framework already in place, ready to be built upon. We can’t make too many bold predictions as to where T4C goes from here, because in reality it depends on those who actually come forward and are willing to be proactive. There are all sorts of possibilities that could spring from this, but certainly within the group of people who have organised the march, there is a hope that this can be the start of a concerted coordinated campaign to put fan power and regime change on the agenda. We have faith that we have provided, via the march, a sensible alternative for fans to show that we have had enough of being taken for granted and exploited. We hope the readers will join the march on October 19th and show that we not only deserve, but demand, our voices to be heard. It’s Time4Change at NUFC. United we can do it! Personally, I agreed with the idea of a march, but I found that after reading this Q and A, I have found a firm resolution that this is our best starting point with which to effect change. The idea of creating solidarity among fans once more after being divided over the past few seasons really appeals to me, and I would hope it appeals to a lot of other fans. What do you think? Is the march a good idea? Will you be attending? Has this Q&A shed some light on Time4Change? I’d love to hear your views. Keep up to date with everything the NUFC Daily is doing by following@NUFCDailyBlog on twitter or by liking the NUFC Daily Blog Facebook page! T4C – We have a squad full of internationals and our last game against Cardiff finally saw us play better football. What has to be looked at is the Coaching staff rather than the Owners. It is MA’s club and by all regards he is a very private person so why would he want to talk to fans?? That is the managers job!! T4C – the question is what do you want?? Do you want the club completely destroyed like Man City or do you want us in dept like Liverpool??? At this present time you may not like it but NUFC is being run as a business rather that an Abromovich (sorry for the spelling) toy and is being run properly. Do not forget that the previous owners nearly destroyed the club for buying players like Owen etc!! T4C – If / When we beat Liverpool you are going to look bloody stupid! !